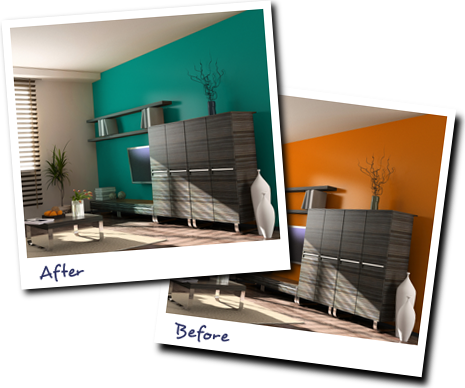 Wouldn’t it be great if you could show your clients exactly how their new paint job will look? Before you buy a single can of paint? It only takes a few minutes. Just upload a photo, choose your color, and Colorjive does the rest. It all works online. You don’t have to install anything, and it updates automatically. The application includes fandecks for Sherwin-Williams, Benjamin-Moore, Glidden and other major paint brands, as well as the Natural Color System, used worldwide by designers. Have questions? Send an email. You’ll get an answer within 24 hours. It’s simple. No 300 page manuals, no “ribbons,” and no long rows of confusing icons and buttons. Just point, click, and paint. We love color, and know you do too. And, you want your projects to look right (the first time). We also love feedback. If you love the software, please say so.If something stinks, we want to know that too, so we can fix it. You can use it as much as you like for $12 a month. That includes unlimited photos, and email support. Click here to try it for free.